Are Feminized Seeds Right for Me? If you engage in any substantial farming activity, you are likely understand that choosing the right seed will either set you up for a bountiful harvest or have your fingers burned season after season. The stakes are even higher when it comes to growing cannabis, given the limiting rules that govern growing the plant. Many states permit only a few plants per household, which makes choosing the right seed vitally important. This is because only the female marijuana plants contain cannabinoids—the compound that every marijuana farmer is chiefly after. The two major ones— tetrahydrocannabinol (THC), and cannabidiol (CBD)—are what drive the demand in the cannabis industry. Most growers prefer feminized marijuana seeds over any others. The feminized seeds guarantee the growth of female plants 99% of the time. Feminized seeds are bred explicitly in a way that eliminates the male chromosomes, drastically decreasing the chances of producing a male marijuana plant. Male marijuana plants are not desirable to any degree, except for pollination. Other than increasing the quality and content of cannabinoids in your harvest, significant bonuses come with planting feminized seeds. For starters, feminized seeds help a farmer better manage the often finite space set aside for pot farming. This is in sharp contrast to planting regular seeds, as they leave the farmer with the possibility of having to pluck out half the plants that grow to become male. Remember that the primary role of the male marijuana plant is to produce pollen and not for anything else, hence the need for elimination. Regular marijuana seeds will either produce male or female plants, while feminized seeds will only provide the female plant. Considering that the government has already imposed a limit on the number of cannabis plants that you can grow, it makes much more sense for home growers to plant the feminized seeds and not having to scrap 50% of your plants because you made the costly mistake of planting regular seeds. It also saves you resources in terms of time. Water and nutrients that the unwanted male plants will have utilized before you notice them and uproot them. 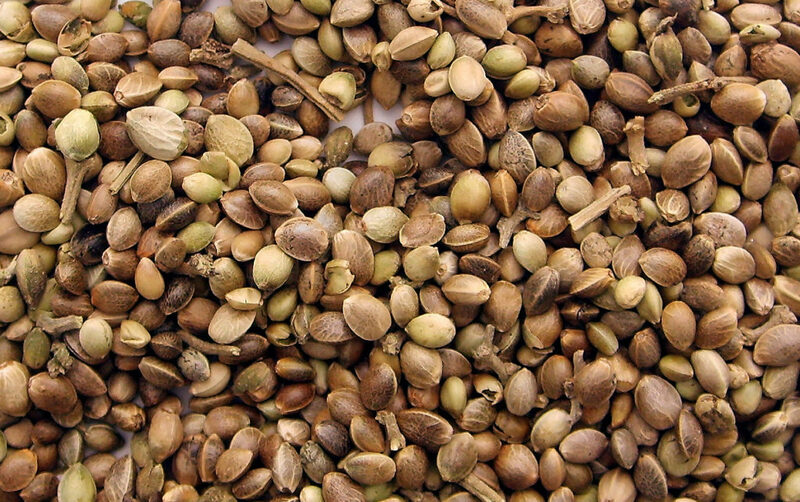 How Are Cannabis Seeds Feminized? There are two main ways by which marijuana seeds are feminized; by a natural process dubbed rodelization, or through an artificial method that utilizes silver. Through rodelization, a female marijuana plant that is conventionally known to contain hermaphrodite traits is subjected to light cycle interruption. This stagnates the plant in the flowering stage for much longer than required. The female plant develops pollen sacs, which a farmer harvests to apply the pollen to another female marijuana plant; one that does not show hermaphrodite signs. The seeds of the resulting plant are then, by and large, deemed to be female seeds. However, bearing in mind that most cannabis plants are predominantly and naturally hermaphrodite, it is not uncommon that the pollen produced by the female plant would transfer the intersexual traits to the seeds. Therefore, rodelization is not 100% effective as it banks on the rare chance that a female cannabis plant will fully develop the pollen sacks once subjected to light interruptions. The other, more effective method, is spraying a female cannabis plant with colloidal silver every day after the plant has flowered. By applying the silver solution on the plant, the production of ethylene is slowed down. Ethylene is a hydrocarbon gas that helps the plant in the flowering cycle. As a result of the impediment brought about by the silver solution, the female cannabis plant grows male flowers with pollen sacks. Once the pollen is harvested and used to fertilize another female plant, the resulting seeds from the plant will more likely be female, hence, feminized seeds. The majority of the time, this results in 100% feminized seeds. The majority of growers find it easy to purchase ready-made colloidal silver. That’s not to say that you cannot make it yourself. With a few alligator clips, a soldering iron, pure silver, distilled water, and a 9-volt battery, you can easily make your colloidal silver. Patience is the key requirement here, as it takes about 14 days to record substantial progress with your plant. While most cannabis farmers prefer feminized cannabis seeds, there is another type of cannabis seed called an auto-flowering seed. The auto-flowering seeds are different from regular and feminized seeds in that the change in seasons does not influence their plant cycle. These plants will still flower even when exposed to a full day of light and will produce two or more harvests within four months or less. Cannabis growers also have the option of growing feminized auto-flowering seeds. With these seeds, farmers have more liberty as they do not have to choose between female and male plants and they also enjoy quick flowering regardless of the season. Cannabis farmers are continually discovering new ways to make marijuana farming more scalable and productive. Improvements are made to advance growing methods each day. If you are a new face in the world of cannabis cultivation, and you started with the regular seeds, do not lose sleep over it. However, in light of this new information, be sure to use feminized seeds during your next season so that you can enjoy maximum yield. If you are still waiting—patiently or impatiently—for your state to legalize cannabis, you can file this info for future reference. Product Update: Deals to Products!